With the recent release of Oracle MAF 2.1.3 a new utility becomes available that simplifies access to Oracle Mobile Cloud Services (MCS) from Oracle MAF applications. Oracle MAF MCS Utility (MAF MCS Utility in short) is a Java library for Oracle MAF applications and exposes MCS client platform REST API calls as native Java calls. This blog post introduces Oracle MAF MCS Utility, explains what it does, how it works and where to find it. Oracle MCS is all about REST! Any mobile client that is capable of sending REST requests and to handle JSON responses can invoke MCS mobile platform functionality exposed on a mobile backend (MBE). This includes calls to Analytics, Notification, Storage, User Information and Custom API. REST is a good choice for Oracle MCS and ensures an understandable and very easy to use application development interface. From the perspective of mobile application developers however, accessing REST interfaces from mobile applications is a mental mismatch. To access REST APIs from a mobile application developers need to "think REST" though their comfort zone is within their favorite programming language, which for mobile usually means Objective-C, Java or scripting. 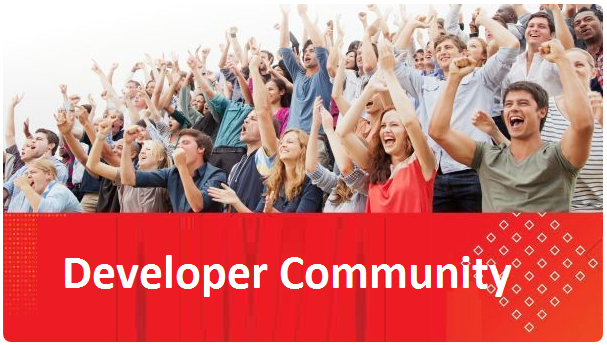 To address this lack of developer comfort and to improve developer productivity, Oracle MCS provides development language specific client SDKs. The MCS client SDK provides a native language abstraction to the underlying REST calls (for Android and Objective-C at current, as well as Xamarin), plus handy infrastructure functionality like offline synchronization and support for push notification registration and handling. The image below shows the basic architecture pattern implemented by all Oracle MCS SDKs. All in all, using the MCS SDK makes developers more productive, requiring them to write less code. Read the complete article here.